You should get help ( ). Here is his thread on the topic. It makes sense to discuss details there. First you need to decide what you want to know when looking at his measurements. Then post those questions and you will get help in finding the answers in his measurements. Me too, but they sure are neat looking. maukka, it may as well be possible that the way we perceive light is the actual reason for our very fine kermit discrimination tendencies. Just look how intense just about any cheap green laser looks (they may hit 0.1W) versus vastly more powerful blue ones. A high CRI emitter can have a significantly off white tint, like this green Oslon which is one of the worst (duv 0.0093) I’ve tested regardless of CRI. 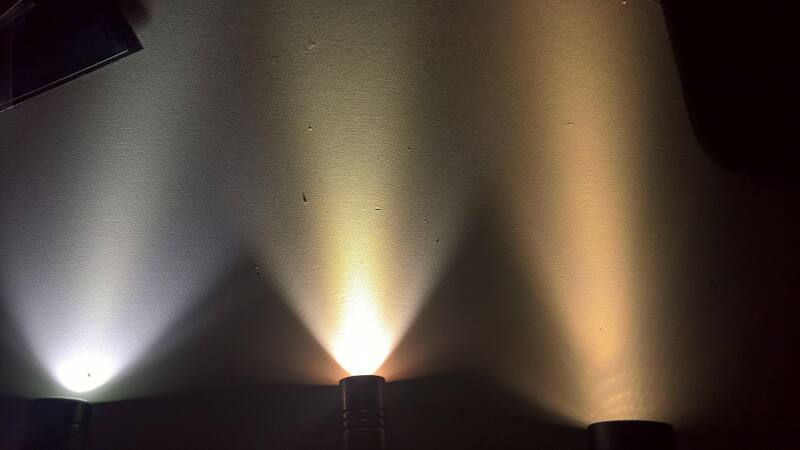 However, as the tint was quite consistent throughout the beam in the test light (Thrunite TC12 V2), it can be corrected with a simple filter (unlike an XP-G3 for example). I agree with this. Even the green lantern like Osram can be made pleasant with simple gel filter. What I’ve learnt from Lee’s LED filter is you can always trim but you can’t add. 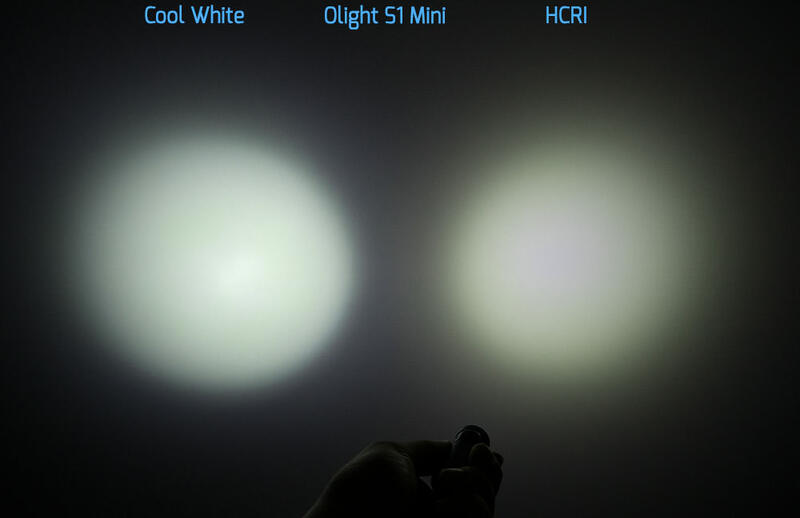 High CRI LED is a better starting point than lower one when you plan to use filters. Maukka, do you have Lee filter swatch? I’m curious how much can we trim the blue spike in most cool white LED while keeping the rest as flat as possible. I don’t understand duv, yet, but, I can see that the Greens (R3, R4, R5 and R11) are taller than the Red, Yellow, and Pink (R9, R10, R13), on the Green tinted Oslon.. while on the Pink tinted Nichia the Red, Yellow and Pink bars are not shorter than the Green bars.. I haven’t dig too much into this but….IMHO…. 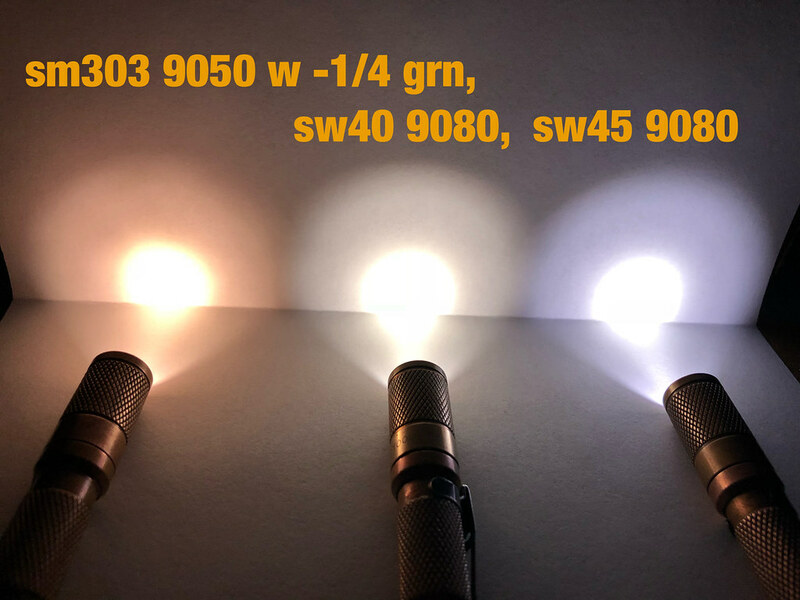 Simply said Duv is how far off the tint of tested LED from the BBL (0 – 4500K) or SBL (5000 – 10000K). BTW, is there such a term as Sun Body locus? this is just my own word. From my understanding looking at Maukka’s chart: -0,0055 means the tint is lower than BBL while 0,0093 means the tint is higher than BBL/SBL. By carefully looking at his charts, I think it’s safe to conclude anything beyond 0,004 or – 0,004 is considered too far from the reference line (BBL/SBL). This aligns very well to 219B sw45k (miss piggy tint) and Oslon (kermitt tint) facts. I dont know how I missed this led… but I did… is it still available anywhere to purchase? The reference source differs depending on the standard/method. For example the CRI standard CIE 13.3: 1995 describes the duv tolerance (i.e. acceptable duv to consider the CRI valid in the first place) as +-0.0054 with BBL being the reference source for CCTs up to 5000K and D series illuminants above it. This is also true for CRI, CQS and CRI2012, even if the duv tolarence varies a bit. In the TM-30-15 and CIE 224:2017 the transition from BBL to daylight illuminants is gradual. In my data, however, duv is always the distance from the BBL, even on sources above 5000K. I have the Lee swatch book to play with. I have the Lee swatch book to “play with”:http://budgetlightforum.com/comment/1117960#comment-1117960. We’ll be very grateful to see your test results then. My personal request is how far can we trim the blue spike. Also how the minus blue spike filter affects CRI. Where do you get those green filters? I have several LED’s that could use that. From my understanding looking at Maukka’s chart: -0,0055 means the tint is lower than BBL while 0,0093 means the tint is higher than BBL/SBL. .. green filters? I have several LED’s that could use that. 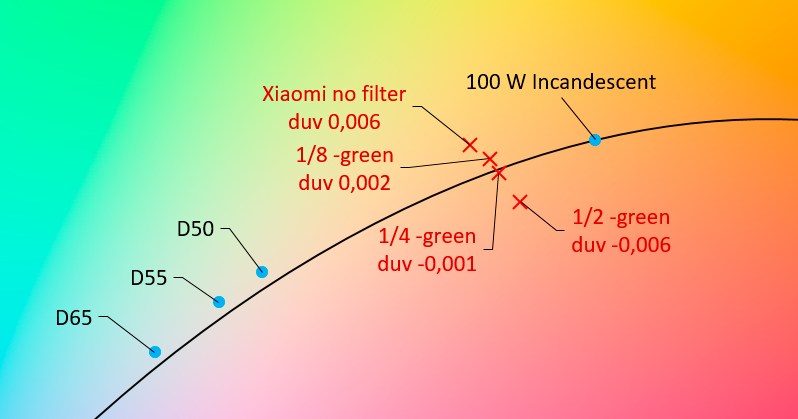 Three different minus green filters tested: minus eighth, quarter and half. 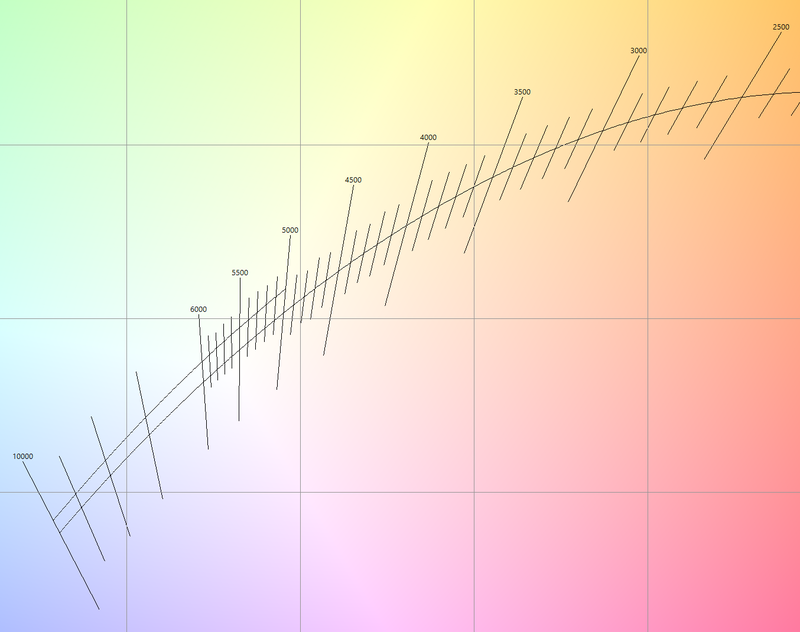 Considering that a perfect redendering index score happens when the different wavelenght's relative outputs follow whatever given temperature pattern/curve shape, I guess we could even fine tune (maximize) the CRI and tint out of any good CRI emitter with a custom tailored filter. 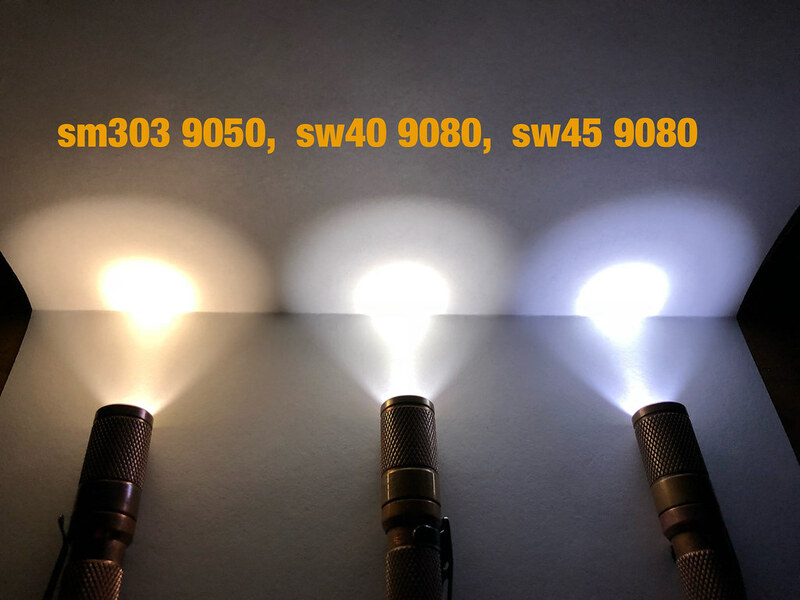 Looking into filters, i found Lee Zircon LED dedicated filters. Maybe better to discuss this in Clemence’s topic. OK, they use a custom throw lens which is better than stock. But nevertheless they consider dedomed 219b a good option for throw. Does anyone here have experience with that? I sliced the dome on a 219C once and the throw was pretty good. Although a full dedome has proven pretty hard and it seems that those that tried it were not that impressed. Personally I won’t dedome an LED due to the tint shift. 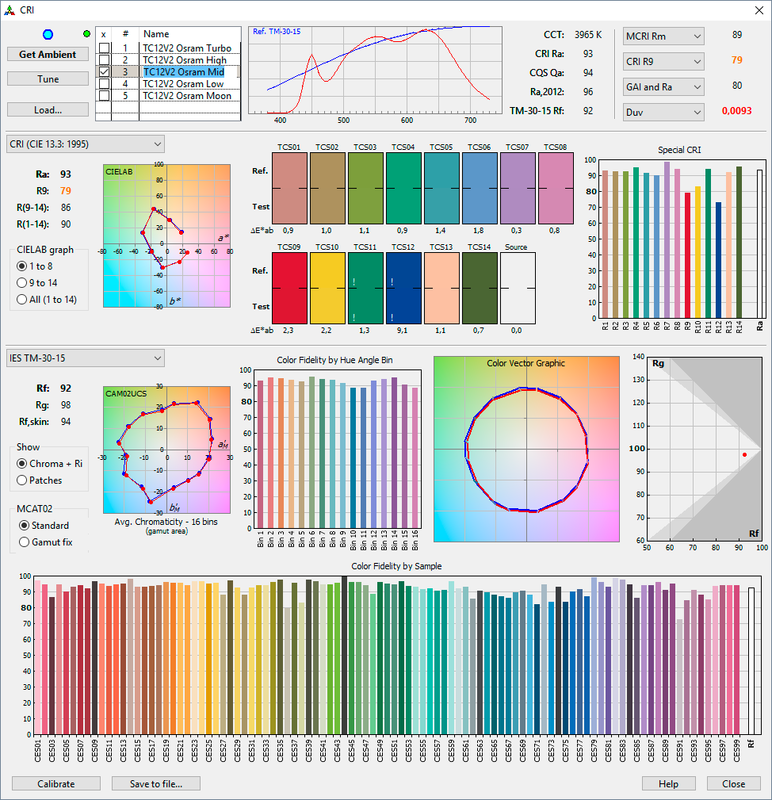 As regular user I would not recommend you looking for lux-rc technologies. You dont compare family car with F1, right? First of all, lux used another leds. I have mensioned this several times – some 219bs have smaller dies (and it is almost unreal to get this leds if you are not able to order full 2500 leds reel). Secondly, he rarely use hi-cri nichias and prefer regular version (which have xp-g2 top bin performance). Third, mbc is not dedome, this is custom dome for better throw without lumens loss. Add custom silicone lens, and now you can compare it with $3 xpl-hi under $1.5 10507. I have dedomed multiple 219Cs. It’s quite hard as most of the time some of the silicone gets stuck on the phopshor, but with a sharp blade you can just barely remove it. CRI doesn’t seemed to be affected. (Maukka confirmed that CRI doesn’t shift a lot with dedoming).